Jared believes that yoga is an awesome resource with the potential to provide us with strong, flexible bodies, and a stronger connection with our inner selves. Jared lives and practices yoga daily as a means to accept and connect more deeply with his truest Self. He has invested almost 20 years practicing and studying yoga asana and philosophy, and has a passion for empowering yogis to share their passion for yoga by teaching others. 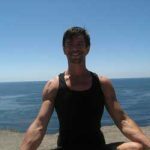 He received a Bachelor of Arts Degree in Philosophy from Cal State Long Beach, and he earned his 500 Hour Advanced Yoga Teacher certification from Cloud Nine Yoga. He has also received advanced training in Core Strength Vinyasa yoga from Sadie Nardini in New York. Jared currently teaches at studios throughout Southern California, and continues to strive to bring the powerful message of self empowerment through self acceptance to each of his classes.